NDOP, Cameroon, Oct 16 2013 (IPS) - Adamou Harouna’s herd of cattle grazes leisurely on lush green vegetation in Ndop, a small village in Cameroon’s North West Region. “We were born to this. Our fathers and forefathers were born to this. A Mbororo man cannot survive without rearing cattle,” he tells IPS. The cattle herder is one of almost 2.5 million indigenous Mbororo people in this Central African nation of about 21 million people. Traditionally, the Mbororo are pastoral nomads. Almost a century ago, when the Mbororos first came to the area of Bamenda, in the North West Region, there was enough grazing land and water here for their cattle. But over the years as more people ventured into farming, the Mbororos’ grazing land began to diminish and it invariably led to violent clashes between the nomadic Mbororos and the sedentary farming population. As the planting season approaches, Harouna is a worried man. Soon he will have to move his cattle away from the local farms to prevent them from being attacked and killed by farmers. “In 2012, I lost 50 cattle,” he explains. It is no secret that the local farmers want the pastoralists to leave the area. “Before these nomadic herders came to this place, we were already here. Our forefathers were here long before they came,” Divine Che, a local farmer, tells IPS. But Harouna does not know what to do. “Where do we go now? This is where I was born; this is where my father was born. So when people say that we should go away, where do they really expect us to go?” he asks. The Mbororos are hoping that the government’s draft Pastoral Code will soon be passed into law and that this familiar conflict will soon become a thing of the past. 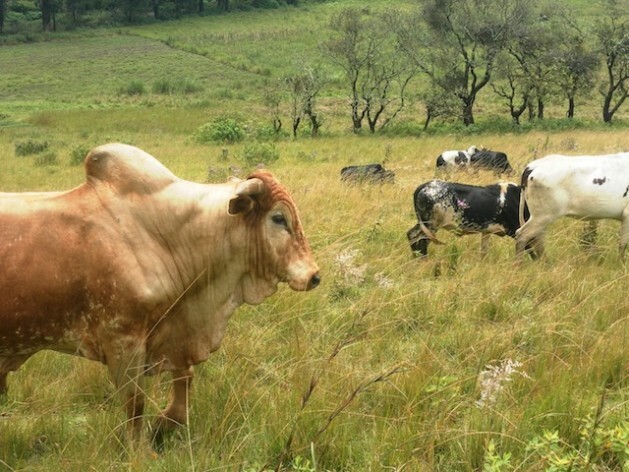 In 2010, Cameroon’s ministry of livestock, fisheries and animal husbandry began consultations with civil society to revise the 1974 land tenure ordinance. Under the 1974 Land Law, all unregistered land in Cameroon is classified as national land, which belongs to the state. This includes farmland and communal land held under customary law. The outdated legislation also contains long, complicated and expensive procedures for obtaining land titles, making it difficult for the largely uneducated Mbororo people to obtain title deeds. The recently drafted Pastoral Code, among other things, deals with the demarcation of boundaries between pastoral land and farmland. “The code is going to make corridors for cattle…the trans-human corridors have been traced and water sources where animals can go have been identified,” minister of livestock, fisheries and animal husbandry, Dr. Taiga, tells IPS. According to officials from the ministry of livestock, fisheries and animal husbandry, the new code will be tabled before parliament for debate in November. If passed into law, it will give the Mbororo the right to the land they have been using for close to a century. While the Mbororo have always been traditionally nomadic, as their population rises and grazing land becomes more limited, they are increasingly being forced to settle down. President of the Mbororo Cultural and Development Association, Hawe Bouba, knows just how hard it has been for her people to obtain land titles. She vividly remembers how her father spent over two decades to get one. “I really love the Pastoral Code that is in the making. If it is voted [into law], it is going to be a solution for the pastoralists; for the Mbororo people because this particular code will really demarcate in a definite way grazing land from farm land,” Bouba tells IPS. Amadou hopes that if the draft Pastoral Code is adopted, he will at last be able to lay claim to the land he and his family have occupied for several decades.